Apple has sent out invitations to the media across the US for a press conference it is holding on Friday, July 16. The official agenda as announced in the invitation is what else but the iPhone 4. All sorts of speculations are doing rounds in the media and experts believe that it’s Apple’s first step towards damage control regarding the out of control iPhone 4 antenna situation. 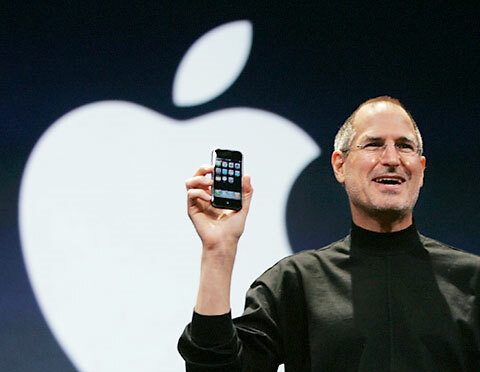 Apple started losing stock after the ConsumerReports snub, popular TV shows like ‘Top Gear’ and ‘The Late Show With David Letterman’ joined in on the teasing campaign against them and now Bloomberg has accused Steve Jobs of being aware of the phone’s antenna problem from very early stages of development. Apple sent out the invites on Wednesday (July 14th) and Bloomberg’s story made headlines on Thursday (July 15th), which makes things messier and more difficult for Apple and whoever is going to conduct the press conference on Friday. It’s obvious that the company will have to answer the question about whether Steve Jobs really knew about the issue and ignored it to compromise signal strength. Apple started rolling out its iOS 4.0.1 update for the iPhones and 3.2.1 for the iPads this morning and it will try to make it one of the topics to address at the press conference. However, experts also predict that Apple will definitely reiterate its stance about the iPhone 4 antennas where it said that the issue is blown out of proportion by the media and all phones lose signals and reception if held from the area where the antenna is installed. Most phones have their antennas on the top so it doesn’t become an issue, Apple decided to install it on the side to minimize radiation effects on users and now the spot comes in contact with people’s hands and hence the signal loss. The above argument may hold some weight but what goes against it is the fact that seldom do phones drop calls when reception is faulty, like the iPhone 4 does. All this and more is set to feature in the Friday event which is sure to be watched and dissected around the world. It was a long time coming and it looks like Apple has decided to face the music after all.